Nepal one of the best places in the world for rafting and kayaking, its mountain scenery has drawn trekkers as well as climbers for many years; these same mountains shape an incredible variety of whitewater challenges for paddlers. A series of world’s most outstanding river journeys are found here, ranging from steep, adrenaline-charged mountain streams to classic big volume wilderness expeditions. The combination of spectacular rivers, mountain scenery and a wealth of cultural heritage makes Nepal an obvious destination for river runners. No other country has such a selection of warm water trips on wild rivers, a subtropical climate and huge white sand beaches that are ideal for camping. The opportunity for kayak expeditions are exceptional. Before you decide what river you will do, you need to decide what it is you want out of your river trip. Nepal offer trips available from one day to twelve days on different rivers, all offering dramatically different experience and first off, don't believe that just because it's river it's going to be wet and wild. Some rivers, such as the Sunkoshi, which is an incredible full-on white water trip in September and October, are basically flat and uneventful in the low water of early spring. About Rivers in Nepal for Rafting. The Trisuli, one of Nepal's raft enabled rivers, offers plenty of excitement for the first time because of its proximity to Kathmandu and its easy road access. Many choose to include either a trip to Pokhara or the Royal Chitwan National Park in a ride down the Trisuli. This is a great trip for intermediate kayakers leaner. 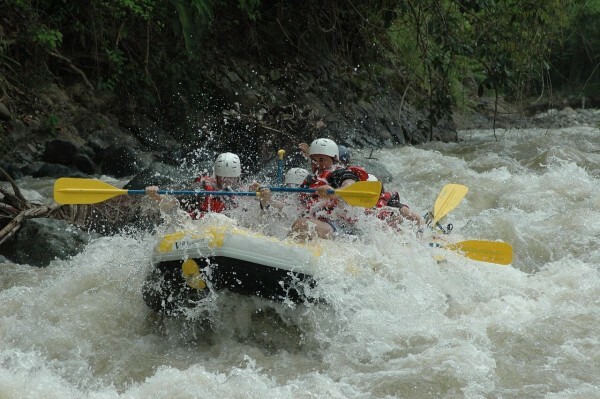 The Seti is a great two - day trip in an isolated area with lovely jungle and lots of easy and exciting rapids. The normal run is from around 95 kilometers northeast of Kathmandu on the dam at Lamosangu. The Bhote Koshi is one of the best short raft trips to be found anywhere in the world. The Bhote Koshi is the steepest river rafted in Nepal-technically and totally committing. The rapids are steep and continual class four with a lot of continual class three in between. At high flows several of the rapids become solid class five and consequence of any mistakes become serious. This is one of the holiest rivers in Nepal, and every junction on the Kali Gandaki is dotted with cremation sites and above ground burial mounds. The Kali Gandaki is an excellent alternative to the Trisuli. The rapids on Kali Gandaki are much more technical and continual than on the Trisuli. It's fun and challenging river with rapids that will keep you busy for three days. The Marshyangdi is one of the best white water runs in the world. The Marshyangdi is hard to beat if you're looking for a 4- to 5-day trip with lots of demanding white water and great mountain scenery. It's almost solid white water. Rapids are steep, technical and consecutive, making it a serious undertaking for the Marshyangdi. This is Nepal's longest river trip ; crossing the beautiful Mahabharat Range for 270 kilometers on the meandering road from Dolalghat to Chatara, far down the Gangetic plainsSun Koshi is one of the great 10 classic river travels in the world. Being the longest and largest river in all of Nepal, the Karnali drains huge and well-developed catchments. The Karnali is a gem, combining a short trek with some of the prettiest canyons and jungle scenery in Nepal. Most experienced river people who have boated the Karnali find it one of the best all-round river trips they have ever done. The Tamur combines one of Nepal's best short treks with some truly challenging action of white water. Most expeditions start from Basantapur on a stunning week - long trek over the Milke Danda Range to Dovan. Probably the best time to raft the Tamur is when flows are on average between mid - October and mid - November.